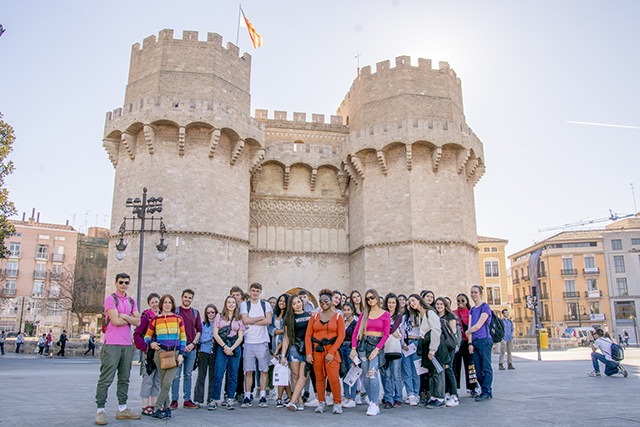 This term, among a host of international trips at Woodhouse, 30 of our A level Spanish students flew to Valencia in Spain for a week. 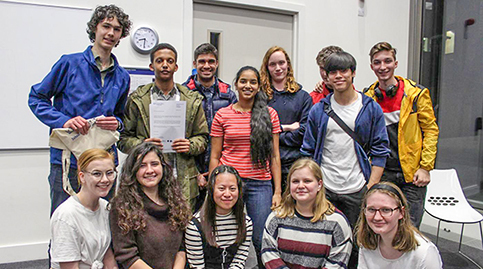 The purpose of the trip was to immerse themselves in Spanish culture and improve their speaking skills by staying with Spanish host families and attending Spanish speaking lessons at the Taronja Spanish School in the heart of the city. 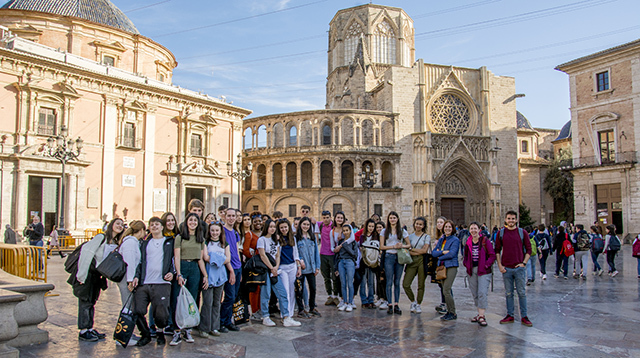 When they first arrived in Valencia, students were distributed to host families for the rest of the evening, to enjoy some home cooking and get to know their hosts, who were a varied bunch of old, young, single people and families. 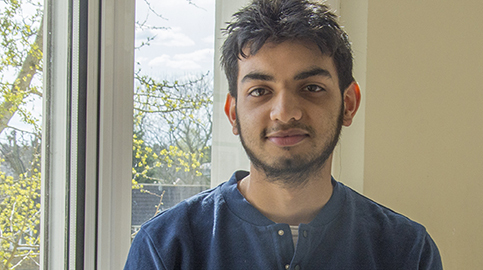 Students (and staff) were naturally nervous to see how the relationships would work out, but the next morning every student was happy to report that they were happy with their placement. No doubt thanks to the Taronjas school's experience in selecting suitable hosts. Students were shown their route to school on the first full day, and after that were free to make their own way across the small city each day (all hosts were within walking distance) just like at home. Many commented that they liked that freedom to explore Valencia. After attending classes on the first morning and having some free time for lunch, students were given a guided walking tour of the older parts of the city. In the evening they enjoyed a 'paella party' hosted by Taronja. Paella is a Valencian rice dish that has ancient roots but its modern form originated in the mid-19th century in the area around Albufera lagoon on the east coast of Spain adjacent to the city of Valencia. It is cooked in a large open pans and at this party, huge metre wide pans carried over the partygoers to a thumping soundtrack. Valencians take their paella seriously. On day three of the trip, students were were taken to the famous Mercado Central. 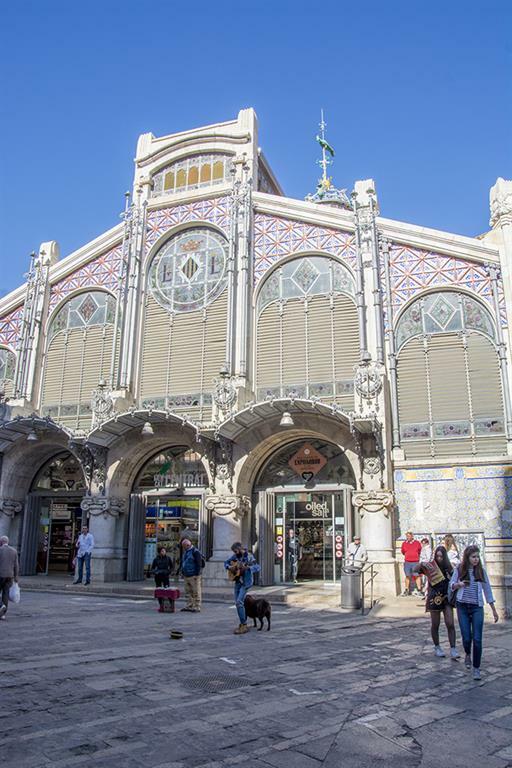 The Central Market of Valencia is one of the largest in Europe and covers more than 8,000 square metres, over two floors, with a predominantly Valencian Art Nouveau style. Here, they got the chance to chat and bargain with the vendors, try many cheeses, meats and sweets and buy presents to take home. 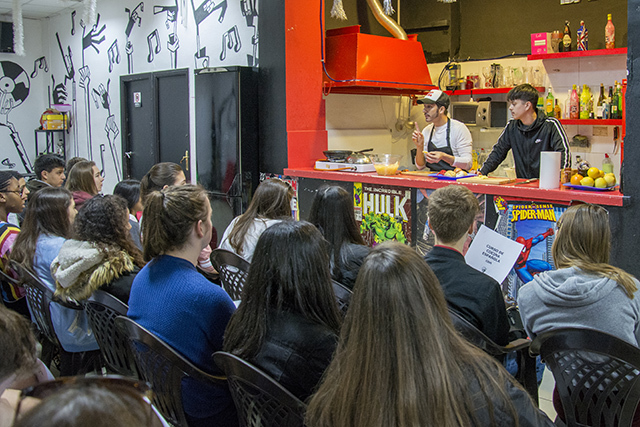 Students when then treated to a culinary workshop with Taronja co-founder and comical cook 'Chef Nando' who gave a cookery class (in Spanish of course) on how to make the perfect tortilla - with some help from the students. A great way to learn a practical skill whilst picking up some more obscure grammar related to the kitchen. Students especially enjoyed eating the results. 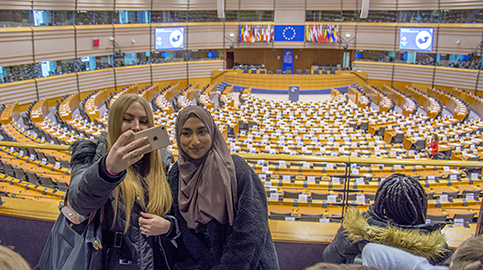 In the afternoon it was back to classes until 6.30pm and after dinner with their hosts, students were allowed a few hours of free time in the city to explore, eat churros and chocolate sauce (a fried dough delicacy) and hang out with friends. On day four, after morning classes and lunch, students took the bus to Port De Valencia where they had a tour of the port area (which once upon a time formed part of a Formula One race track) followed by an afternoon of games on the long (and empty - it is early in the year after all) beach. And on the final day of the trip the students spent a busy morning wandering through Parque del Rio Turia (a 7km park that was once a river through the centre of Valencia that was dammed after terrible floods many years ago and is now a beautiful public space that snakes beneath the bridges of the city to the sea. Along the way they encountered a giant interactive play park of a sleeping Gulliver from 'Gullivers Travels'. Students then visited the Fallas Museum. The Falles (a festival of fire) is a traditional Valencian celebration held in commemoration of Saint Joseph. The term Falles refers to both the celebration and the monuments burnt during the celebration. Each neighbourhood of the city has an organised group of people, the Casal faller, that works all year long holding fundraising parties and dinners. Each Casal faller (currently there are approximately 400 registered in Valencia) produces a huge construction known as a falla which is eventually burnt. In the museum are smaller versions of the models which have won awards over the past century. Finally, before returning to collect suitcases for the flight home, students walked down to the futuristic area of Ciudad de las Artes y las Ciencias (a State-of-the-art science complex ) and Palau de les Arts Reina Sofia - an opera house and cultural centre, to see the impressive architecture. Student Ioanna said "Our trip to Valencia was an incredible experience! 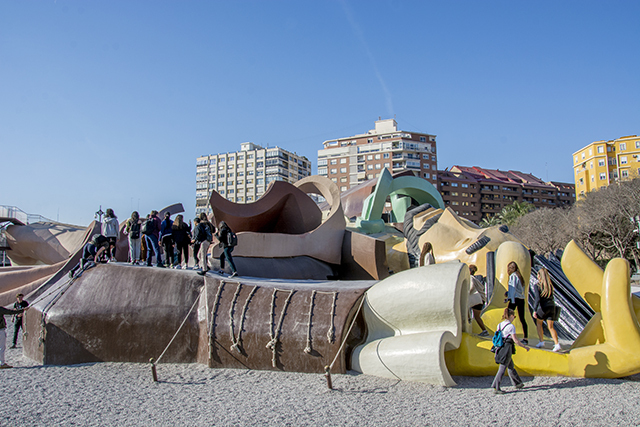 From walking around the old city to eating ice cream on the beach, we experienced the Spanish culture and practised our skills continuously. Most days began with classes which proved to be both useful and enjoyable, and in the evenings, after having some free time to explore the city, we ate with our host families. Our host families were very welcoming and made us all feel comfortable, as well as cooking delicious meals every day. 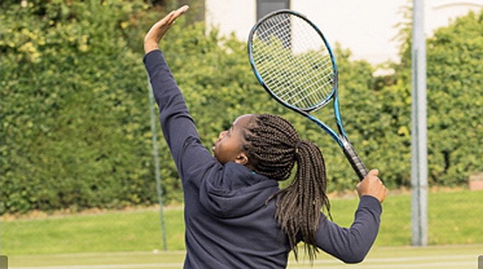 Overall, it was a delightful trip, and I would definitely go again!"